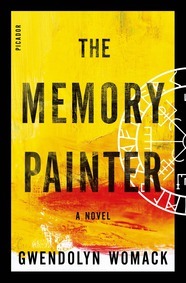 Friends, we’re a bit obsessed with Gwendolen Womack’s THE MEMORY PAINTER. This riveting debut novel is a taut thriller and a timeless love story spanning six continents and 10,000 years of history that stems from this idea: What if neuroscientists accidentally unlocked the secret to reincarnation with a drug? It’s an Indie Next pick for May 2015 and Gwendolen Womack did a feature interview in Library Journal about the book (they loved it—see the starred review below)! THE MEMORY PAINTER will be available on April 28, 2015 from Picador.